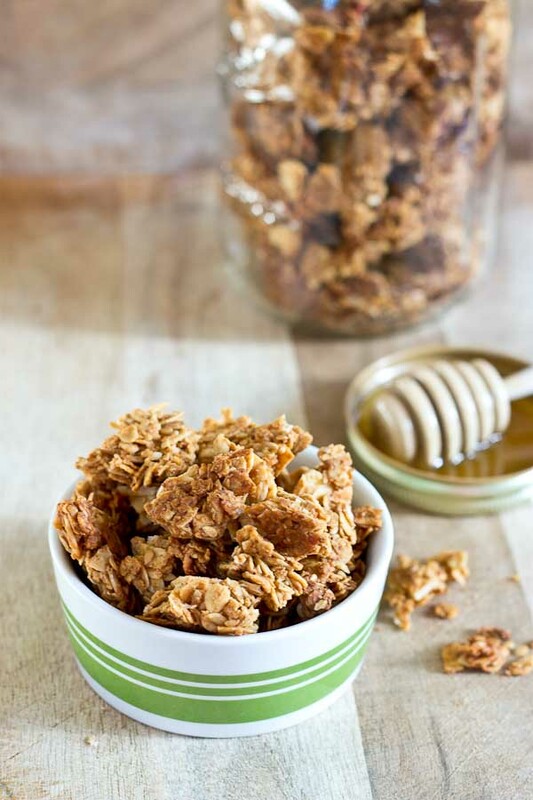 Granola lovers get ready, this classic cereal combo has been taken up a notch with peanut butter! 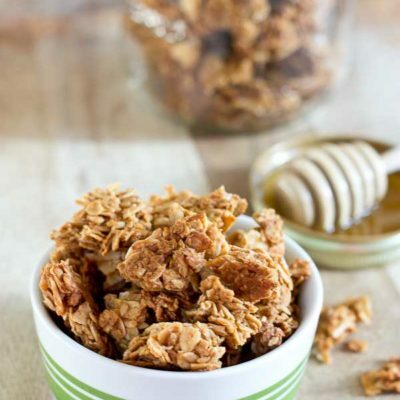 This PB Oats & Honey Granola features honey toasted oats, crunchy almonds and flax, and that yummy peanut butter flavor. I’ve been wanting to share this recipe with you for a while– translation it’s been sitting in my draft folder– recipe written and photos edited since end of August for “back to school”. Where did September and half of October go?? But you working moms understand right? Life get’s insane when you bring a kid into the world as I hear. So you may be wondering what’s going to happen to this blog once baby Parker arrives. Is it going to be a smattering of baby photos and recipes? Will L&Z turn mommy blog? Probably not, but I’ve always envisioned this space to just be an extension of me.. our life as a healthy active family, so you are likely to see some cute baby faces and kiddo recipes in the future. You’ve been forewarned. But as you’ve come to know that on this blog, I love to share simple healthy recipes and the occasional indulgences that fit the active lifestyle… well that’s still me too so continue to expect that as well. I just pray I can keep up with it all! 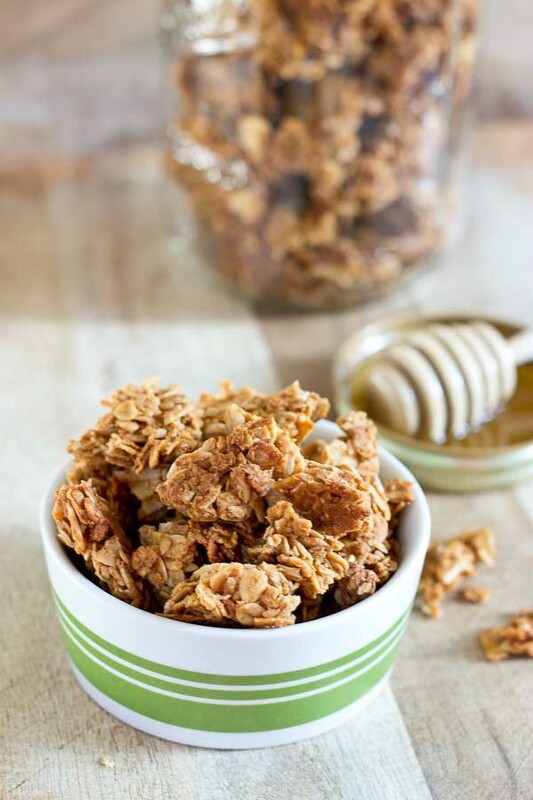 Until next time and a cute baby announcement… I leave you with this recipe for PB Oats & Honey Granola. 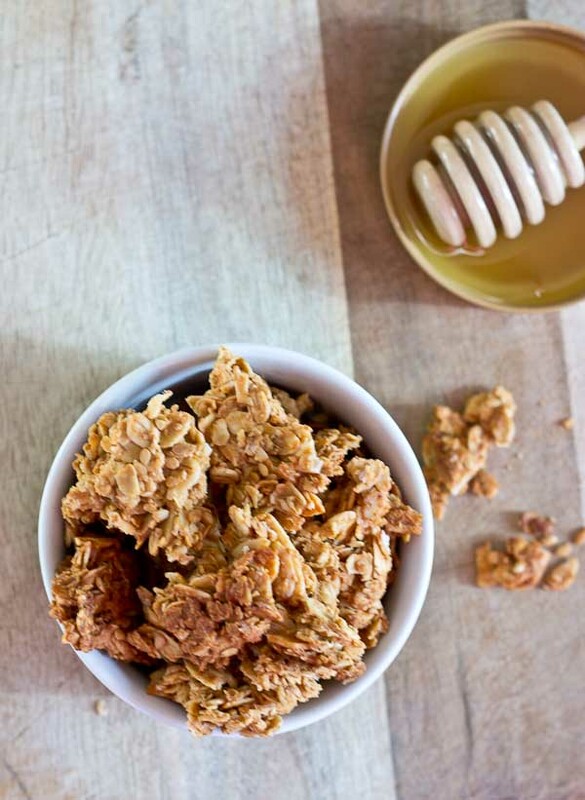 In large bowl, mix together oats, almonds, coconut oil, honey, peanut butter, sea salt and flax. Spread mixture onto baking sheet, keeping ingredients close together. (You may not cover the entire baking sheet). 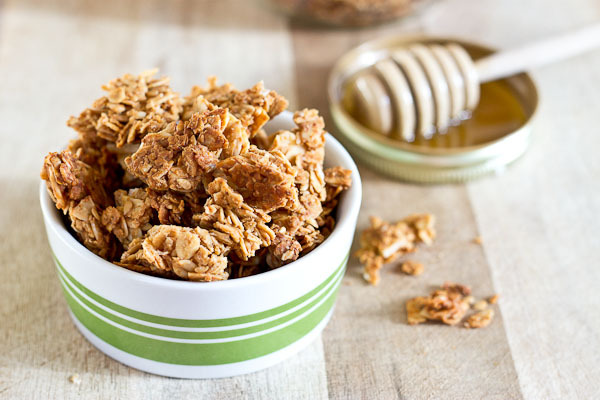 Bake for 25-30 minutes until slightly crunchy and golden. Remove from oven and allow to cool. Break into chunks and store in airtight container. Whats the calories in this?